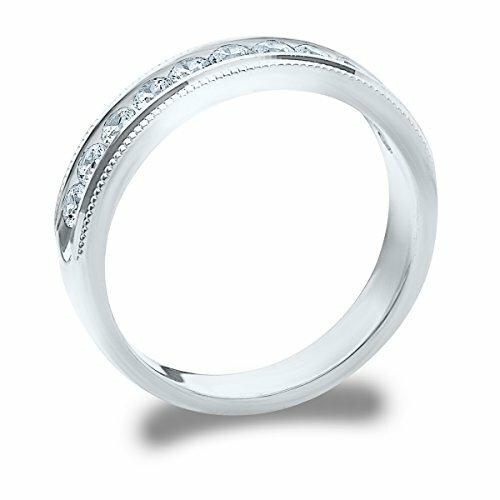 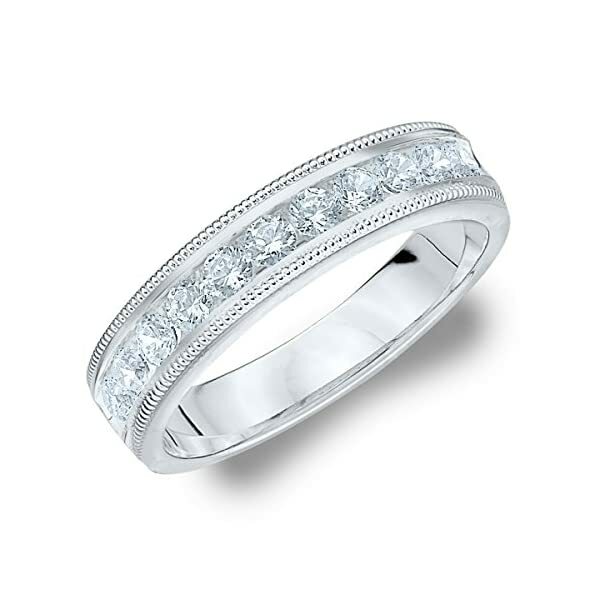 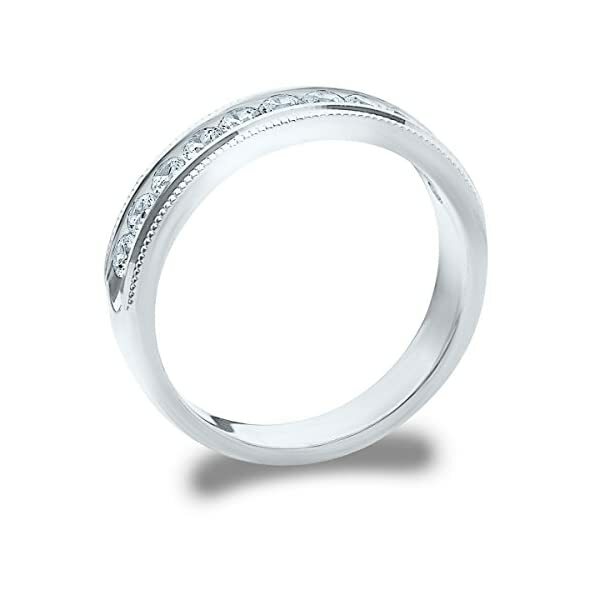 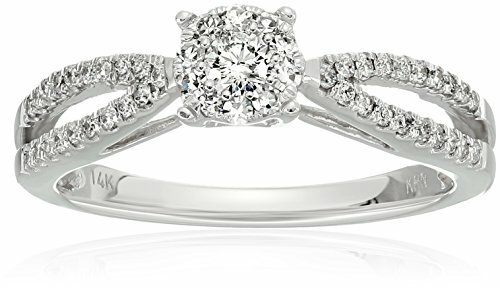 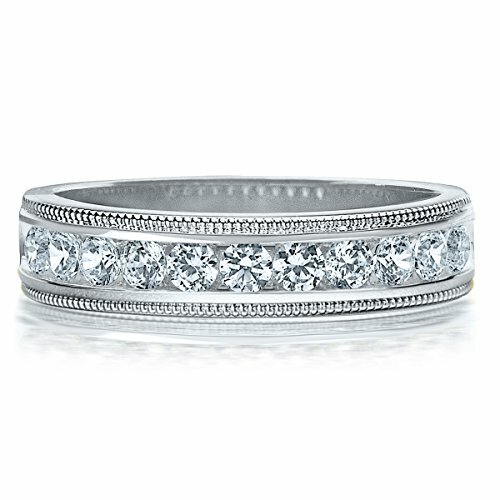 This superbly crafted diamond wedding band features 11 (13 within the .25 cttw) brilliant round cut diamonds totaling .50 CTTW. 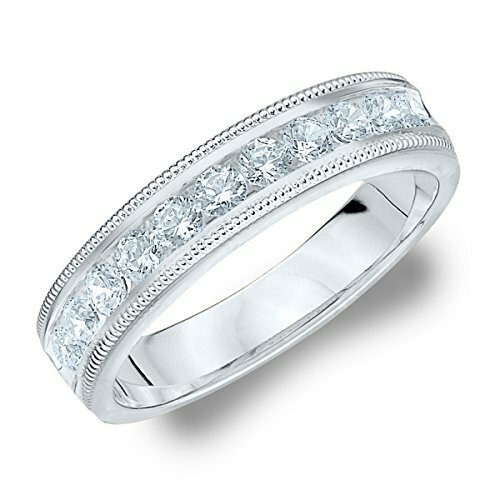 The brilliant round diamonds are secured by an elegant 14K White Gold channel setting which includes a lustrous and stylish design. 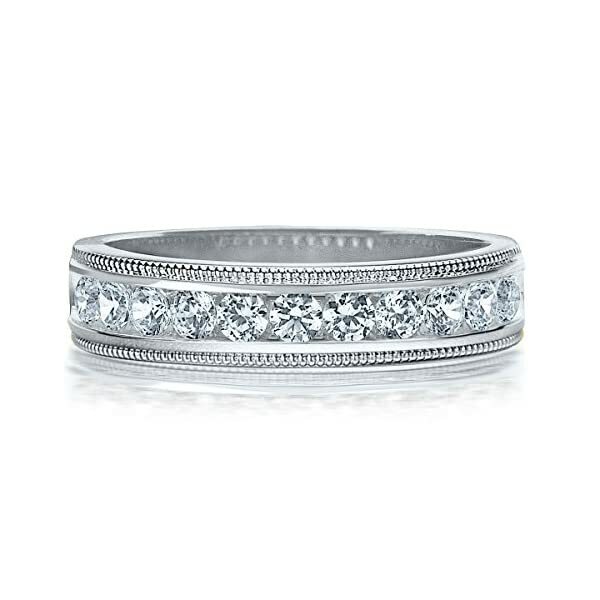 The outer channels have been engraved with a classic and meticulous milgrain pattern, providing a delicate femininity to the classic channel setting, completing this timeless and enchanting diamond wedding band. 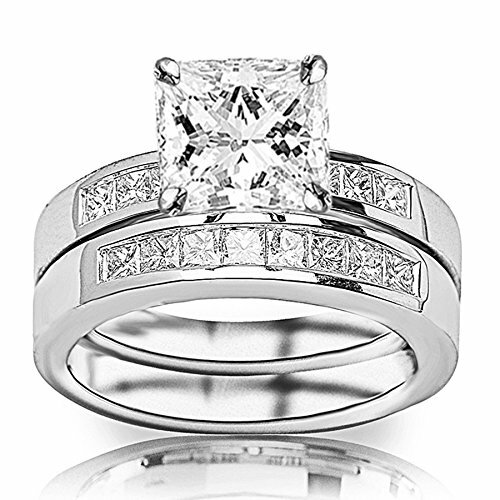 Each and every ring is designed and manufactured to exceed industry standards with top-quality diamonds, metals and manufacturing. 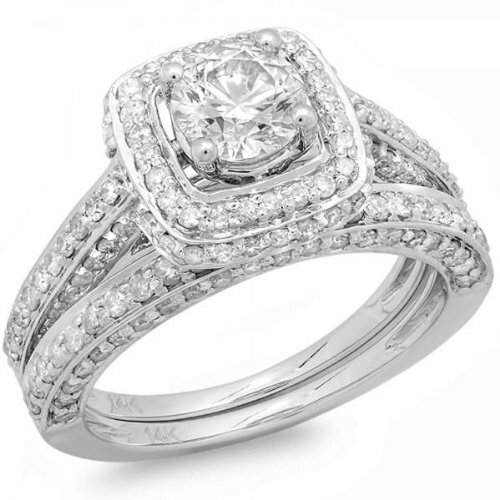 We guarantee to deliver Every customer a custom made ring free of any manufacturer defects and backed by a 100% customer satisfaction guarantee. 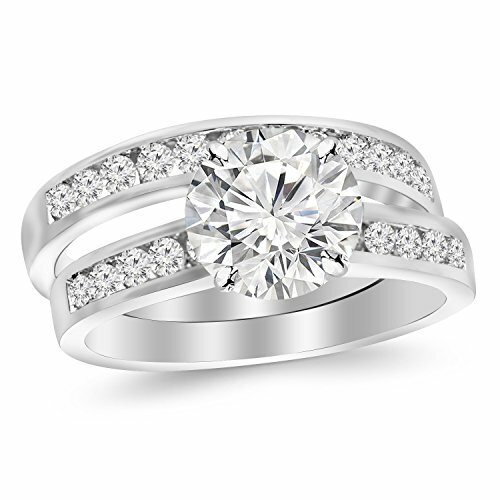 Every ring comes with free shipping, a free appraisal and a no-hassle return policy.